Located in Brownsburg, offering black and white portraiture. Brownsburg CPA firm specializing in tax and accounting services including full-service and after-the-fact payroll. Offers banking services in Lizton, Brownsburg, Pittsboro, Lebanon, Jamestown, Advance and Zionsville. Graphic communications including web design, translation, digital photography, and full pre-press and electronic publishing services. Includes work samples. Based in Brownsburg..
brownsburg, indiana, united states. dealership selling new and used towing and recovery equipment. A full-service PR firm. Capabilities include strategic marketing plans, events, media and public relations, issues management, media buying, branding, internet consulting and copywriting. Based in Brownsburg, Indiana. Participating in flag and tackle football with a sponsors listing, calendar of games, league information and a message board. Brownsburg. Worship schedule and contact information. 11 Council No. 12540 The St. The St. Malachy Council serving the greater Brownsburg - Hendricks County area of Indiana. Photos of a Retreat Center in Brownsburg, Quebec. SiteBook Brownsburg City Portrait of Brownsburg in Indiana. 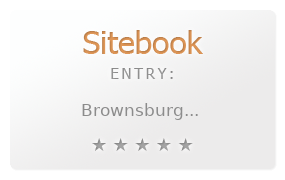 This Topic site Brownsburg got a rating of 3 SiteBook.org Points according to the views of this profile site.